This educational and social cartoon was released by Animagrad studio upon commission of the Ministry of Information Policy. The cartoon’s main character is a girl living in the times of the Famine and personally experiencing all the terrors of this major crime against humanity. The release is dedicated to the 85th anniversary of the Famine. 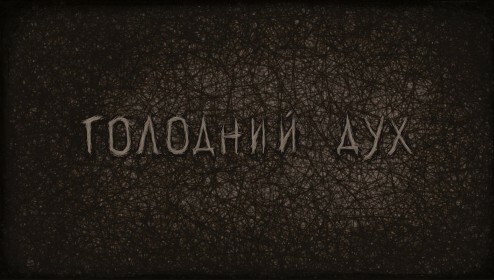 The premiere of the short film took place on November 20 in Lavra gallery, at the opening of Gareth Jones. The Diary exhibition. The film’s first screening at this event is truly symbolic as the exhibition is dedicated to the personality of a renowned British journalist Gareth Jones who was the first to tell the world the truth about the Famine of 1932-33 in Ukraine. “In 2018, Ukraine commemorates the 85th anniversary of the Famine. Ministry of Information Policy jointly with Animagrad worked on creating The Hungry Spirit animated video telling the story of a little girl who has lived through the horrors of the Famine. First of all, we wanted to explain this terrible tragedy both to the younger audience and the general public in Ukraine and the whole civilized world. So that people know, remember and recognize this crime against humanity,” said Artem Bidenko, State secretary at the Ministry of Information Policy. “Putting such wide-scale disaster into three minutes was not an easy task for our team. When working on this project, we felt great responsibility. At the same time, it was a fascinating experience and a challenge of sorts for us because mostly we make optimistic cartoons for children. The artistic language of lines and textures should convey the emotional tension of that period. The main idea of the animated film was to bring it home to the viewer that we should remember this scary page of our history, remember the people who died tragically, and not to allow this again,” said Alina Kharchenko, production designer of the film. You can watch the animated film at the following link. It is important to know that this year the day commemorating the victims of the Famine and political reprisals is November 24.